Director Vikramaditya Motwane’s film “Trapped” is a minimalist survival film. 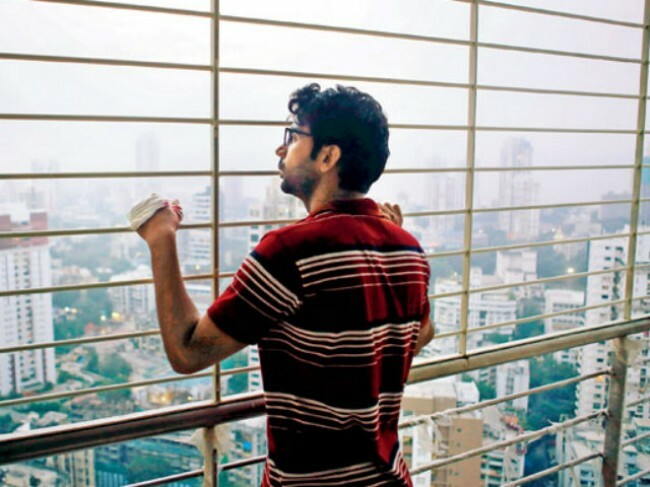 It is the compelling tale of a man trapped and stranded on the 35th floor of a newly constructed, unoccupied building, in the heart of Mumbai. The film begins on an unassuming note with Shaurya, a shy and timid guy, falling in love with his colleague, Noorie. In his bid to start a new life with her, he shifts from a shared accommodation to a flat in one of the unoccupied skyscrapers. That he is an illegal tenant, is a separate issue. Overall, the film makes you feel trapped in the auditorium.